So.. 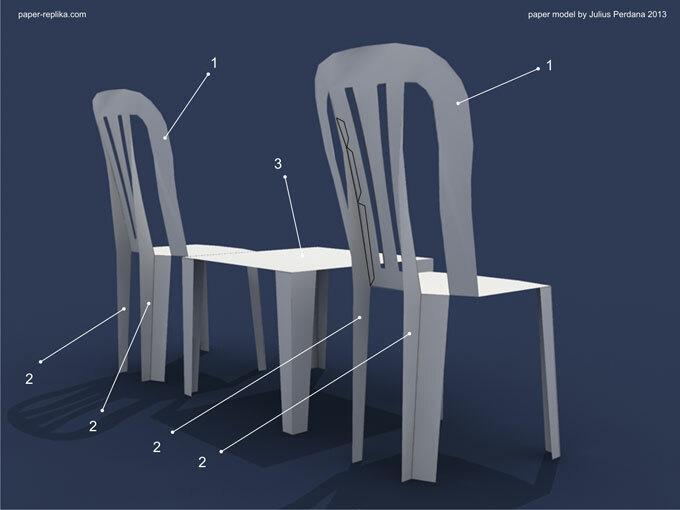 I made 2 chairs and a table paper model Why? Just need to do simple model in a boring time. Also I just bought one of real life white ordinary plastic chairs. Sometimes when you look at an empty chair in an empty room or in a wide space, your brain imagines someone invisible sits there or someone was sitting there, there's like an energy comes from that chair, do you feel the same? or just me :p. The scale is unknown, only one sheet of pattern.